Diandin Leluk has been around for the longest time since 1985. 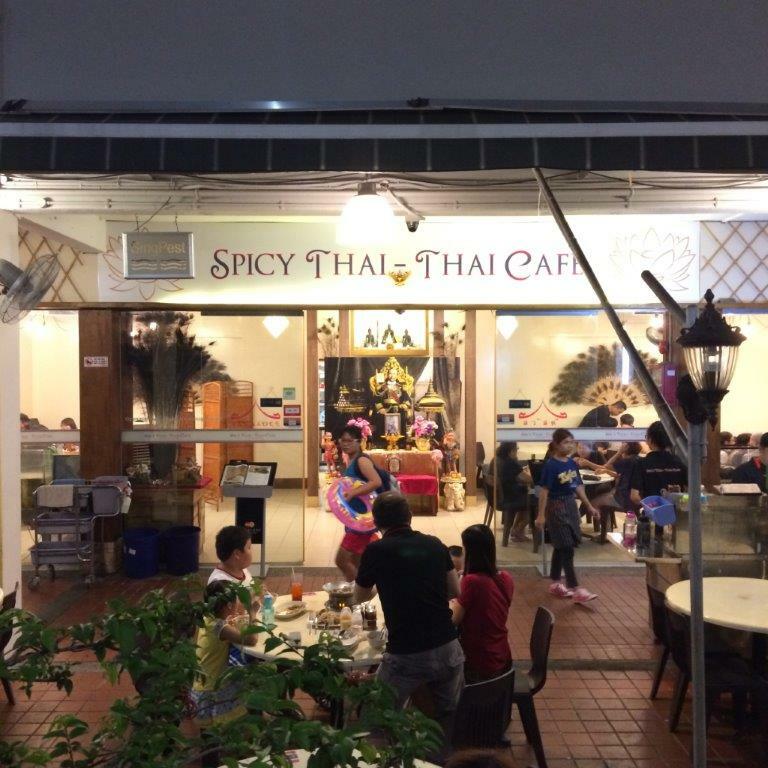 This is probably the first Thai restaurant in Singapore, even way earlier than those branded and posh ones. 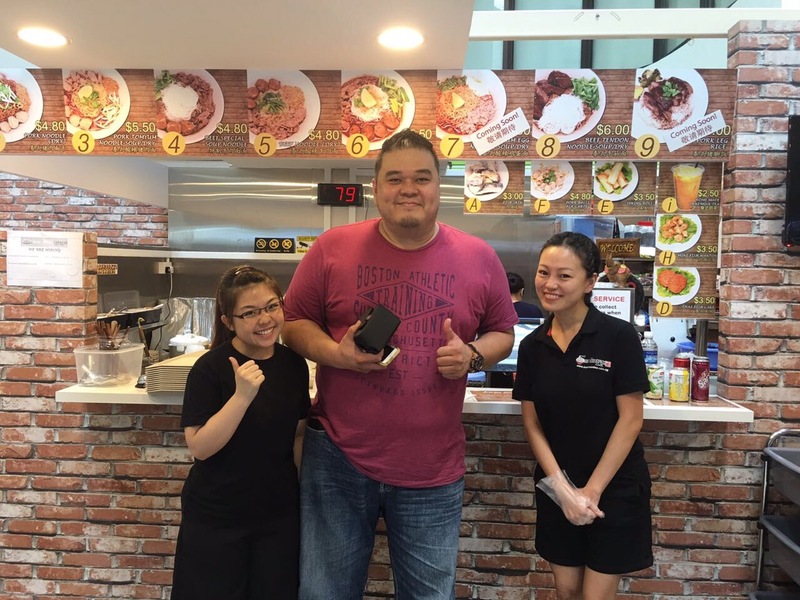 Located at the heart of Singapore’s Little Thailand, Diandin Leluk has definitely found its place to continue provide awesome Thai food to all of us! 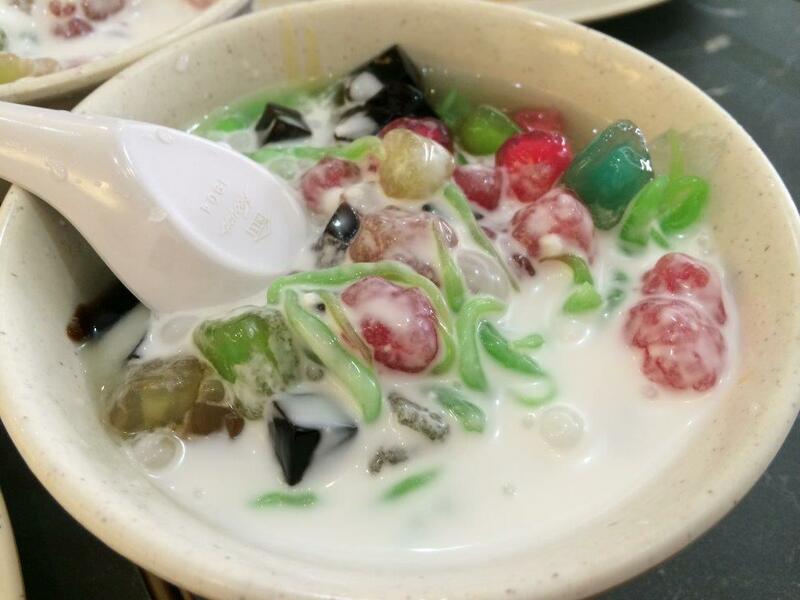 I was there at Golden Mile Complex to book coach tickets for my Genting trip with my mum and decided to have our lunch there ‘cos it’s been a long time I had my meals there. 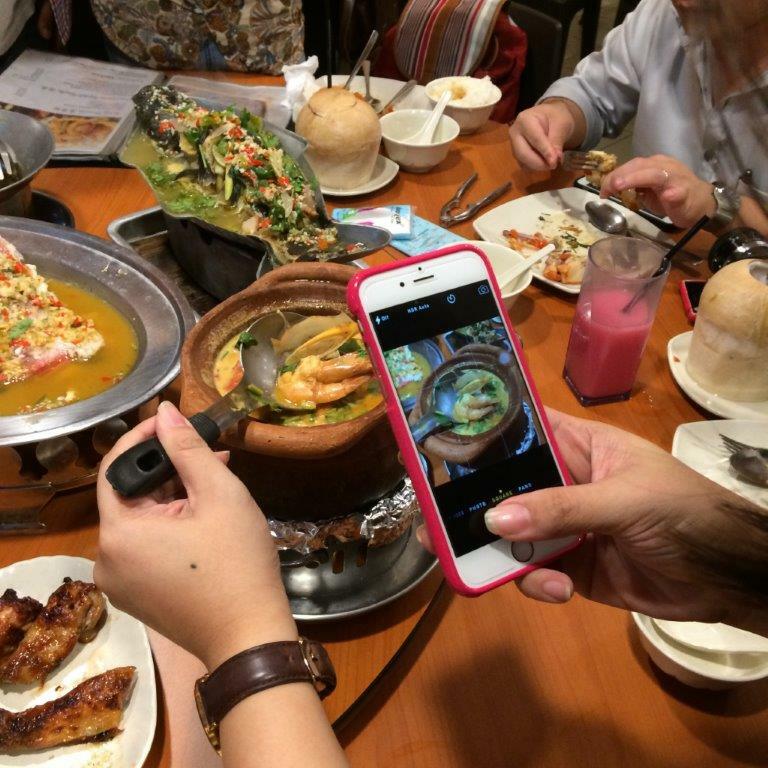 There are many Thai food eateries but Diandin Leluk is the one with the biggest and most prime establishments. 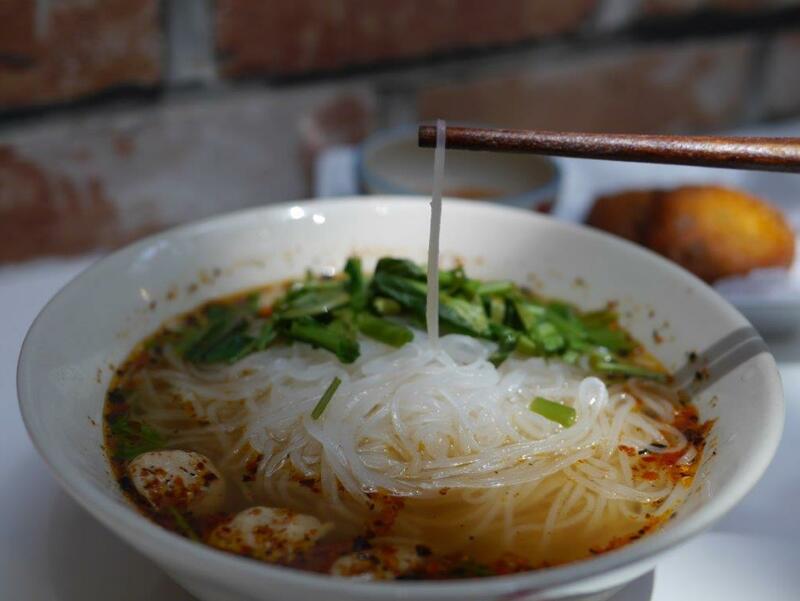 Check out the yummy pics below! 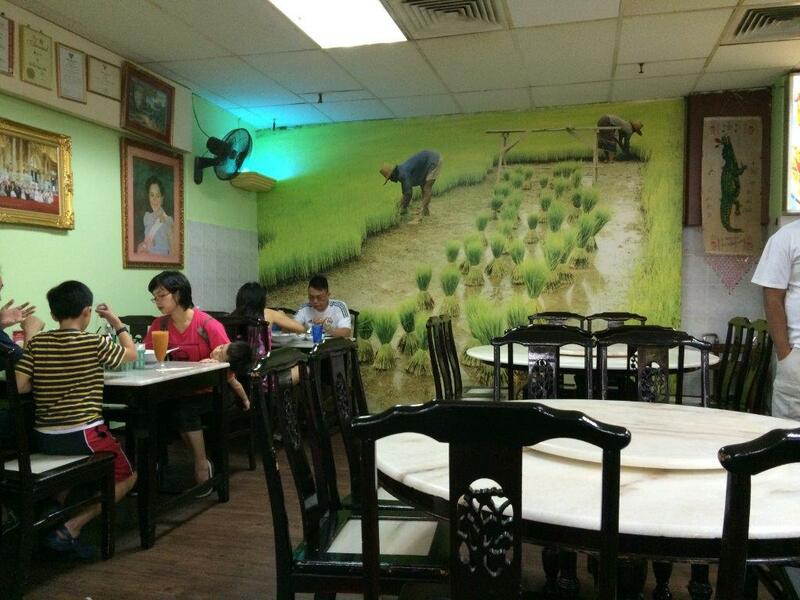 Yeah the rice is fresh from the padi behind… Not! haha… Nice ambience. 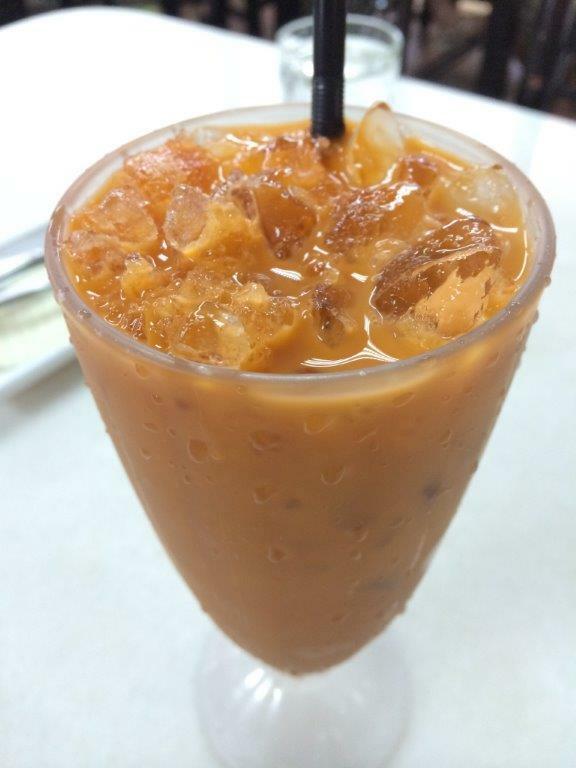 Thai Ice Tea – Wah really miss this. 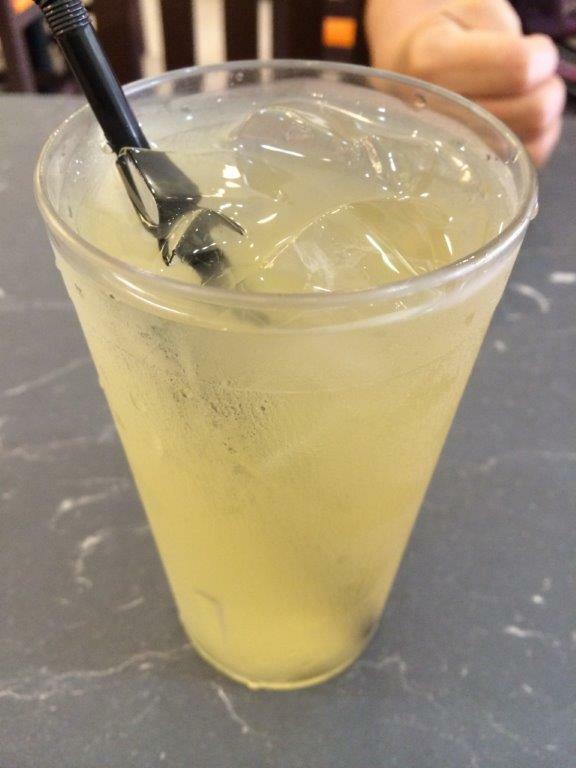 I asked for not so sweet, so it was good for me! Crab Meat Fried Rice $6. 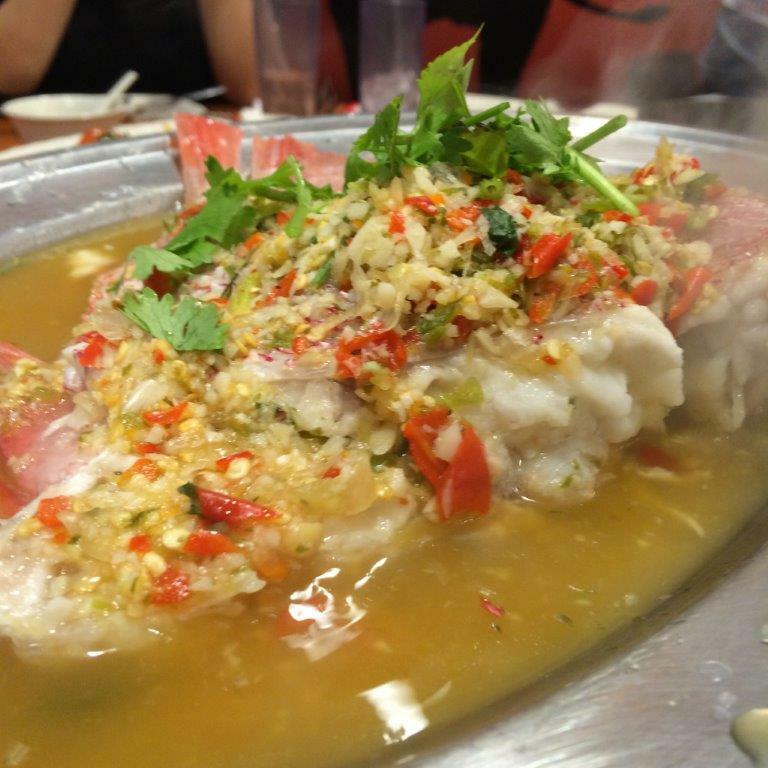 Real crab meat but not a lot… at least it’s not crabstick! 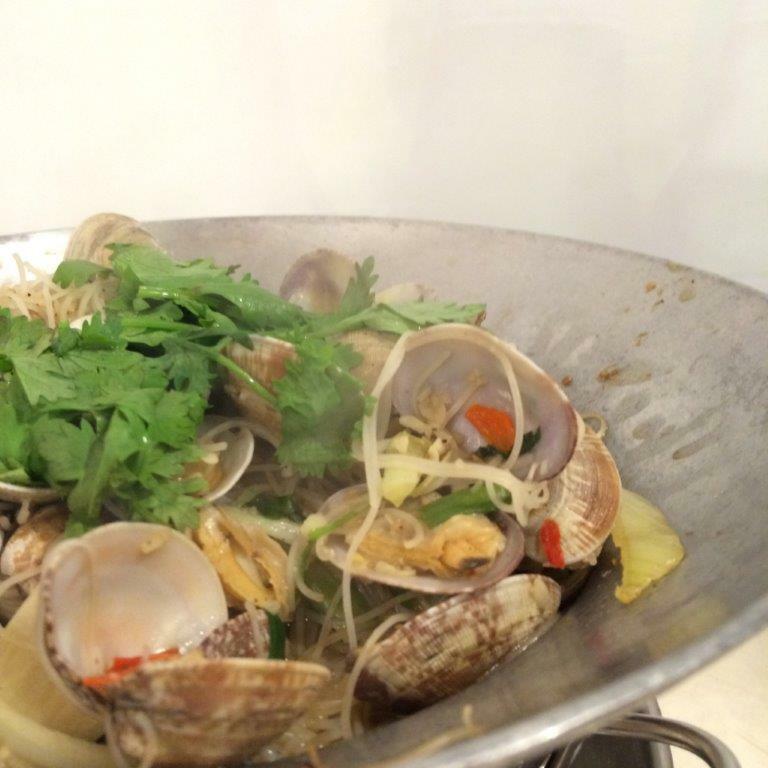 Very nice, fragrant and one plate is not enough! 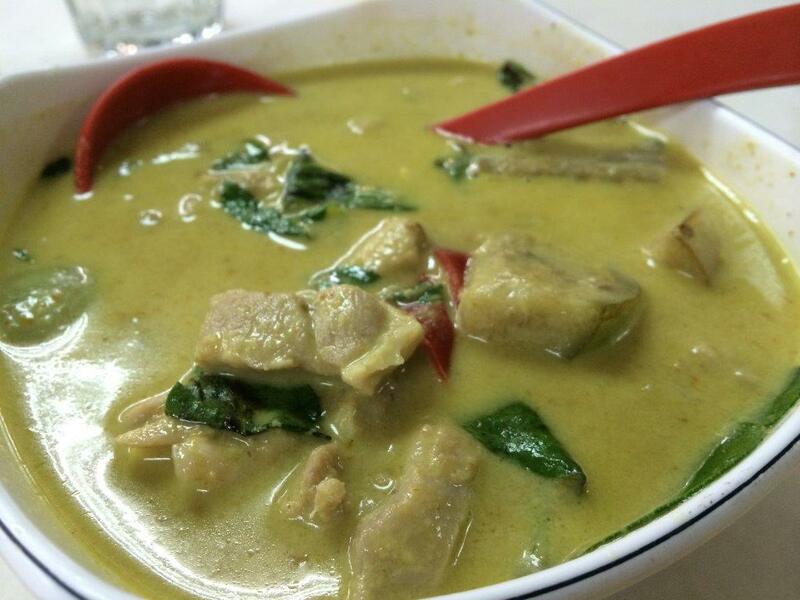 Green Curry Chicken ($10) is nice, rich and right ingredients. 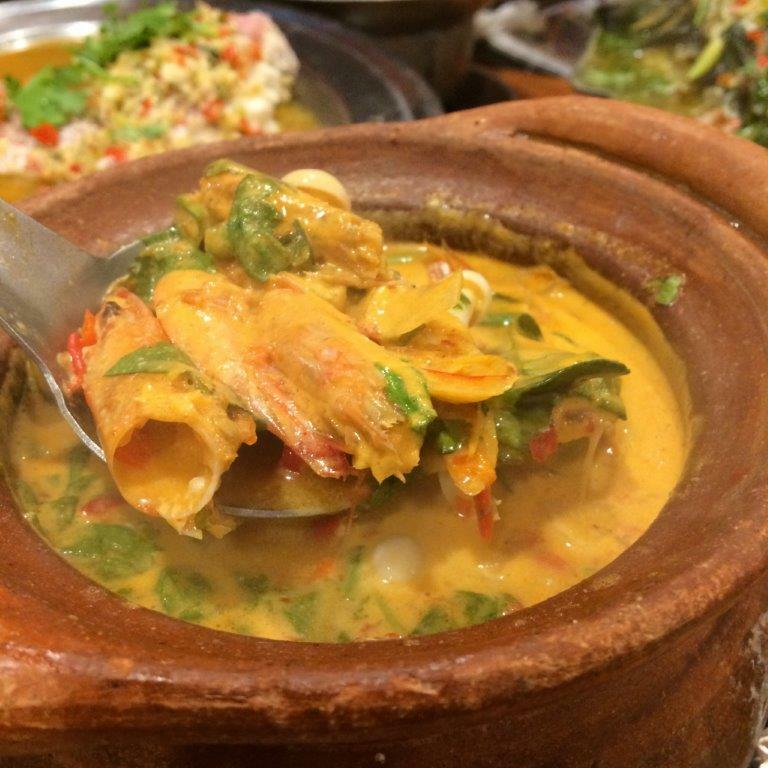 PhadThai $4, my mum’s favourite! Not too bad. 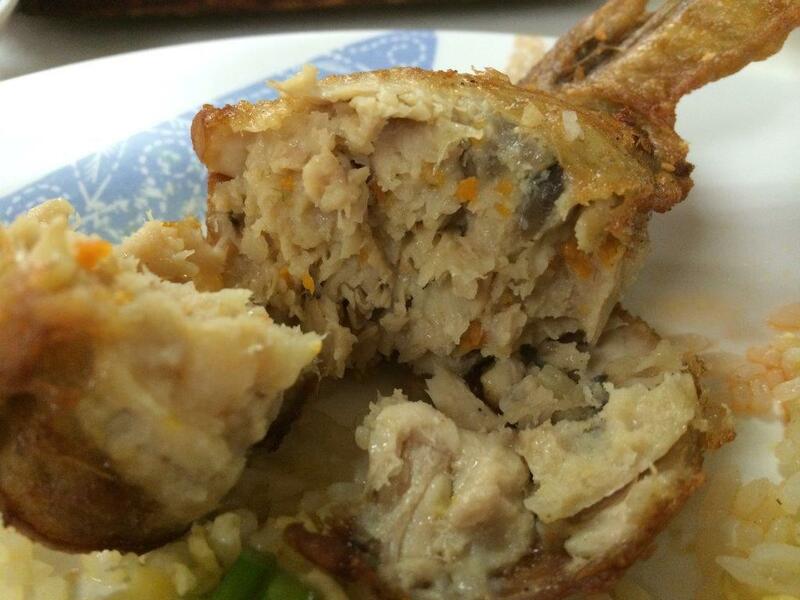 Look how much stuffing there is inside the wings! Yums! 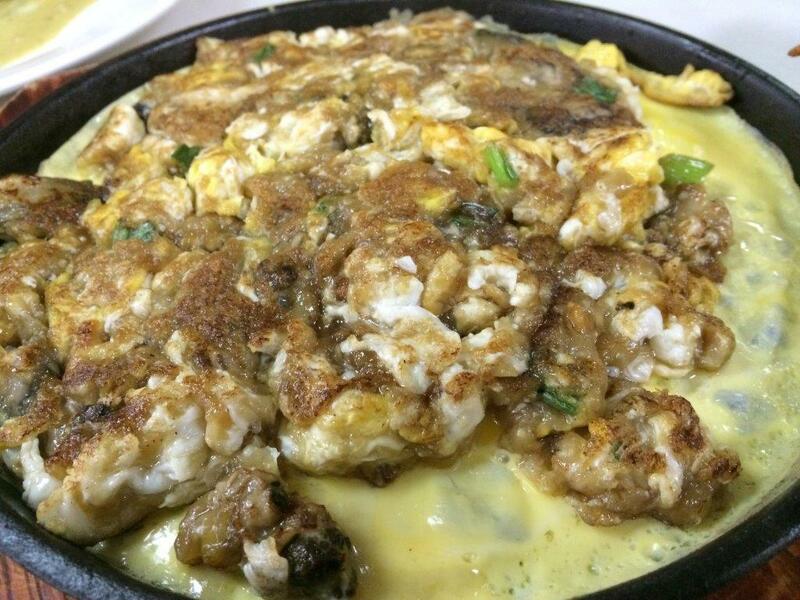 Fried Oyster Omelette $12 is served piping hot on a hot plate. 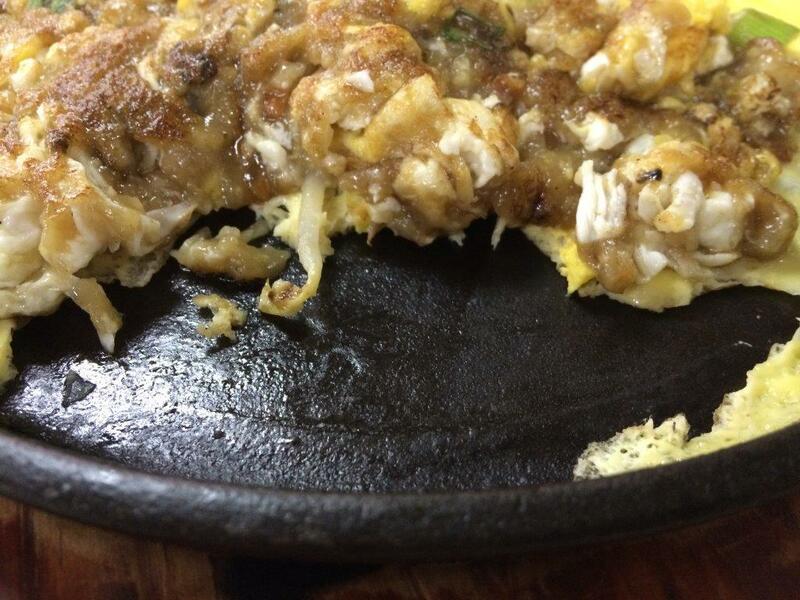 Not oily at all… very good! 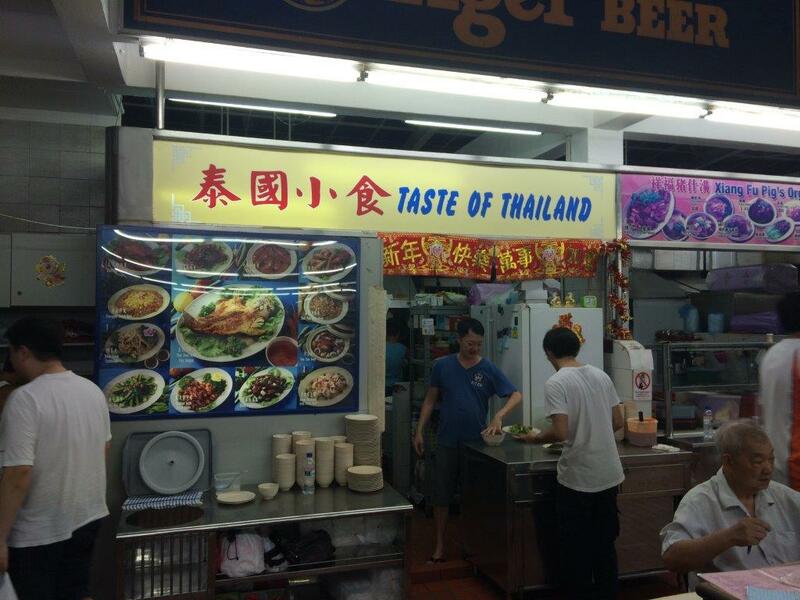 Taste: Very authentic. Wiped out every little bit of it. 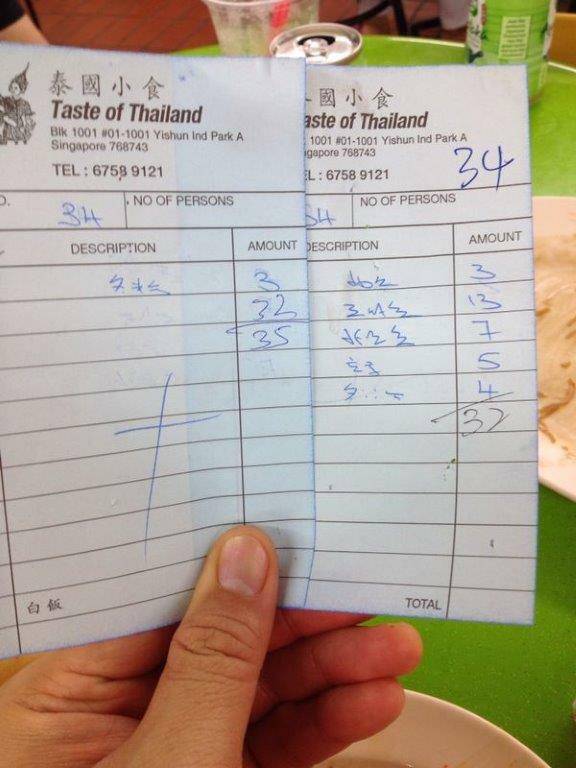 Service: Very good, native Thais. Price: Total damage of S$46.90. Totally affordable and worth the trip! 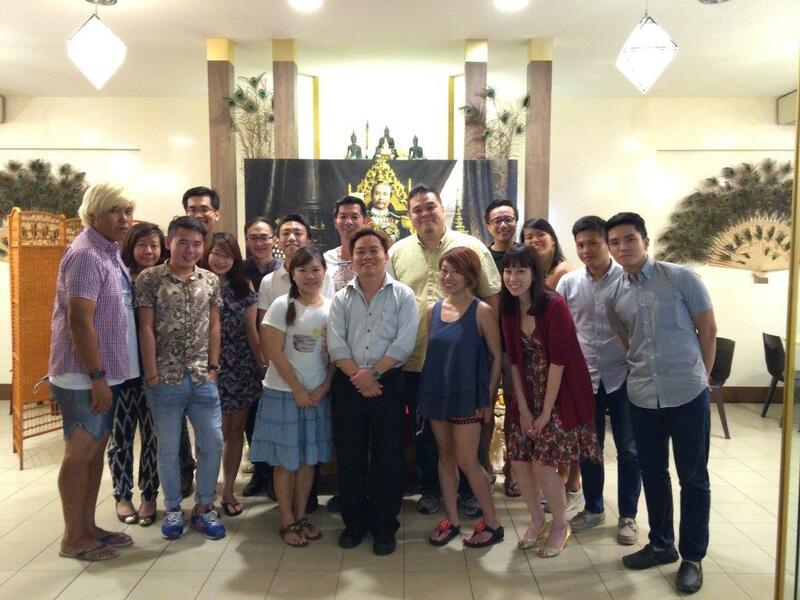 Location: 5001 Beach Road, Golden Mile Complex, #01-67/68/69, Singapore 199588. Tel: 6293 5101. Opening Hours: Apparently it’s 24hrs! 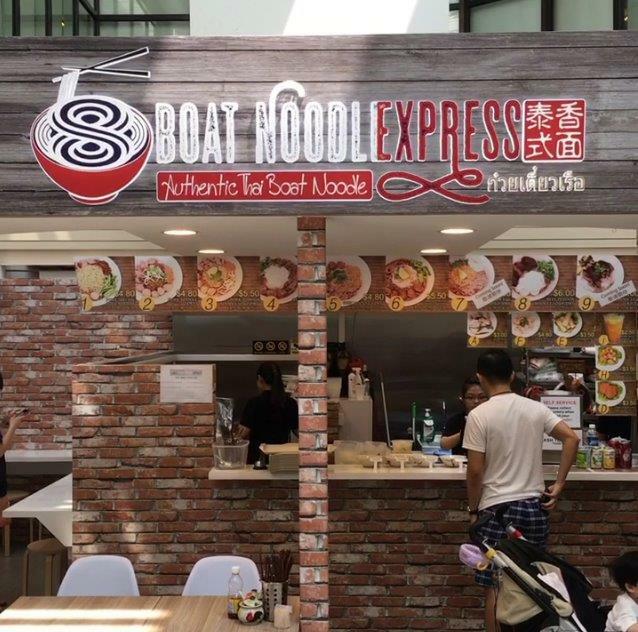 Was looking around for some Thai food and heard there’s this outlet that is pretty good at Sembawang Shopping Centre. So I went there with my god brother just to realise that it has moved LONG AGO. Obviously, I haven’t been around these parts for the longest time! Haha… So we made our way there using Google Maps and finally found it located inside some industrial coffeeshop. So after parking the car, we sat down and checked out the food! 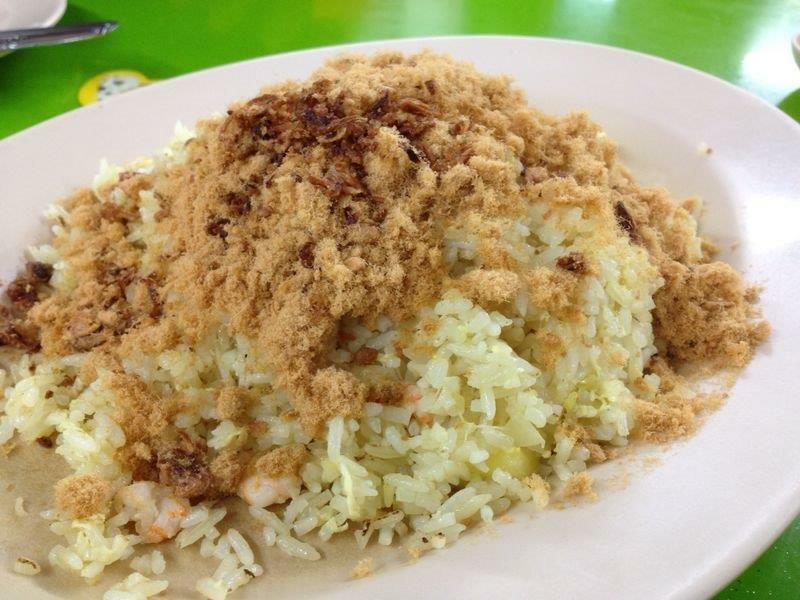 Pineapple Fried Rice – A lot of pork floss on top! Taste good too! 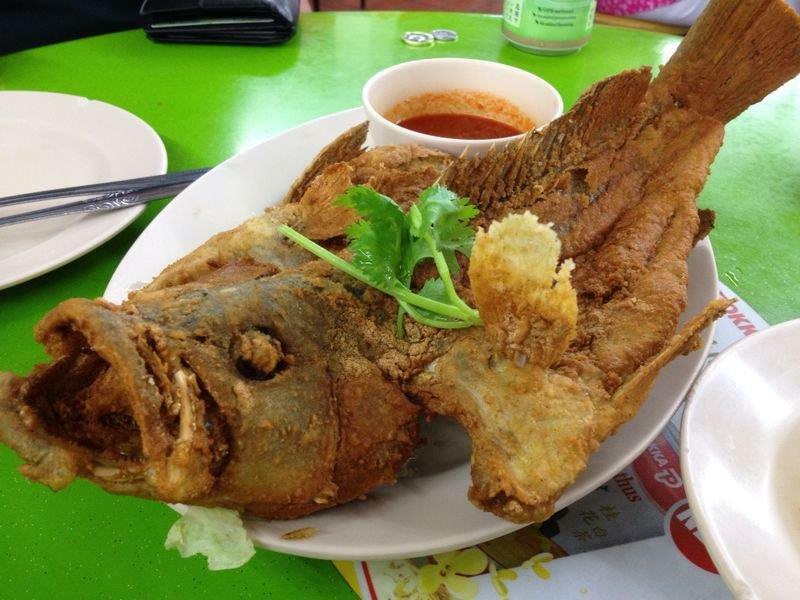 Deep Fried Fish – Fresh, cheap and good! 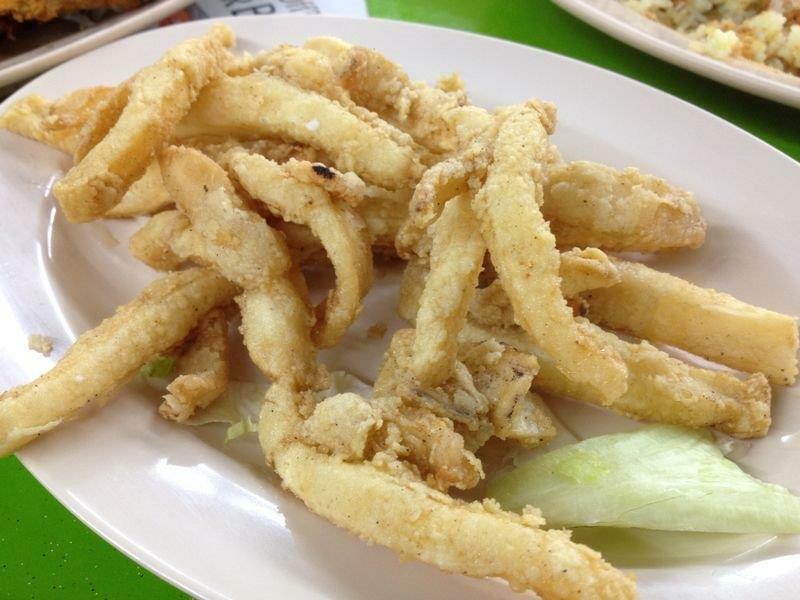 Deep Fried Squid – This is addictive! 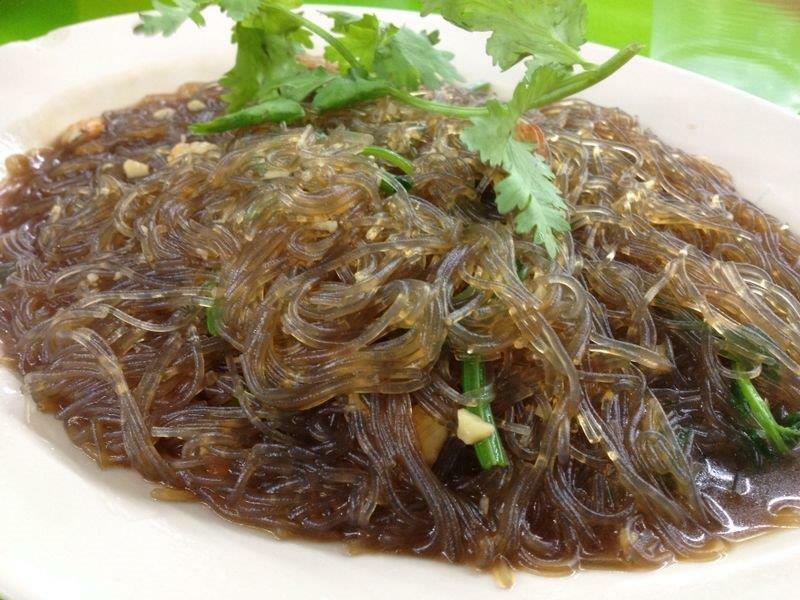 Fried Vermicelli – Not like the dry one I had in mind but quite tasty. Total bill and location. Only $35 for everything! Taste: Everything I ordered tasted good. Price: S$35 for all, super affordable! You can only do this with cheap rentals! RTE: Already return to eat once! Next on my blog post is this little place I discovered with my mummy one of the days when we were out for lunch. 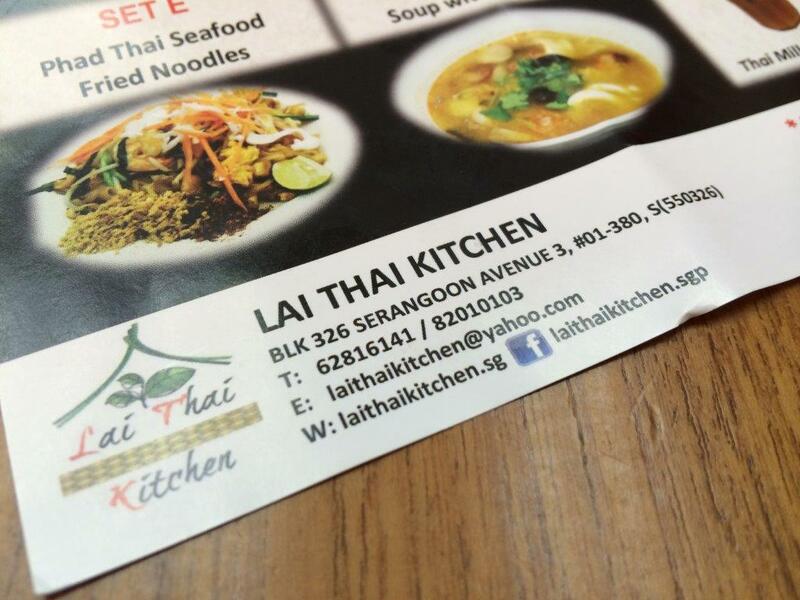 Actually I wanted to eat the braised duck rice just beside this place but it has already closed down. 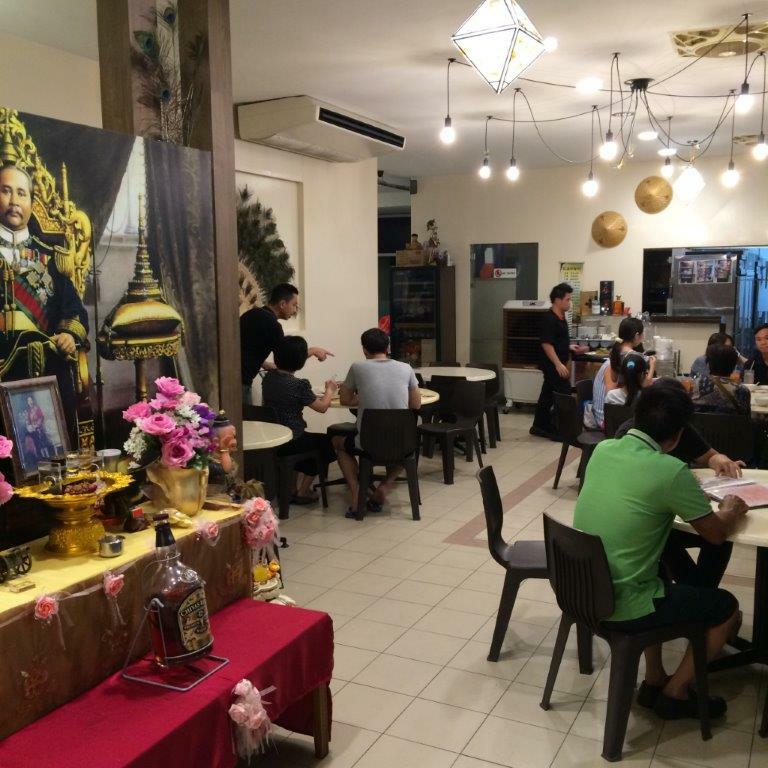 Nevertheless, Lai Thai looked pretty good with simple but neat decor, located below a HDB block. 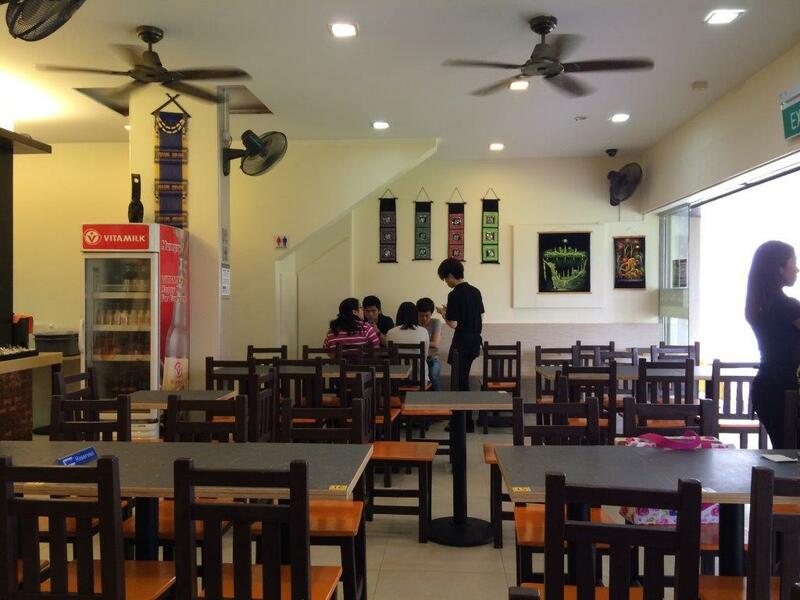 As our lunch time was quite early and on a weekday afternoon, there weren’t many patrons at the eatery. 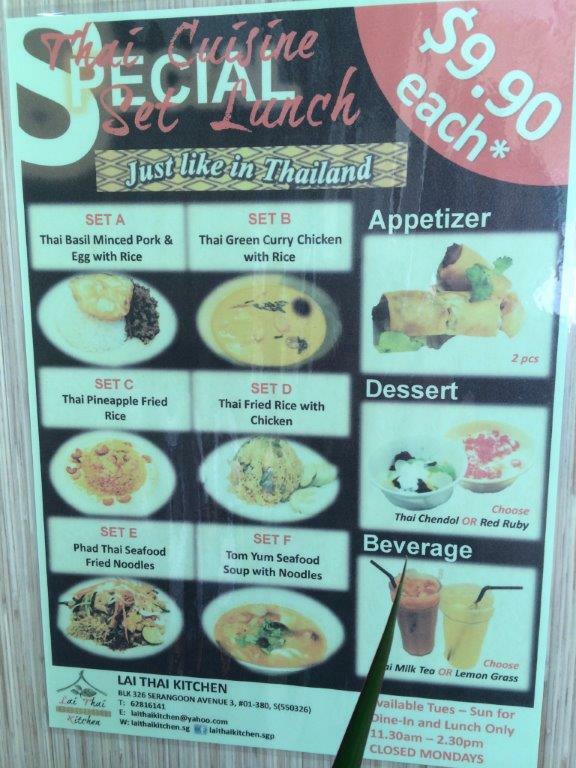 So we were seated down by a Thai staff, and found out that they have lunch time specials for only $9.90! So we ordered and had a taste of their food. Set meal menu. 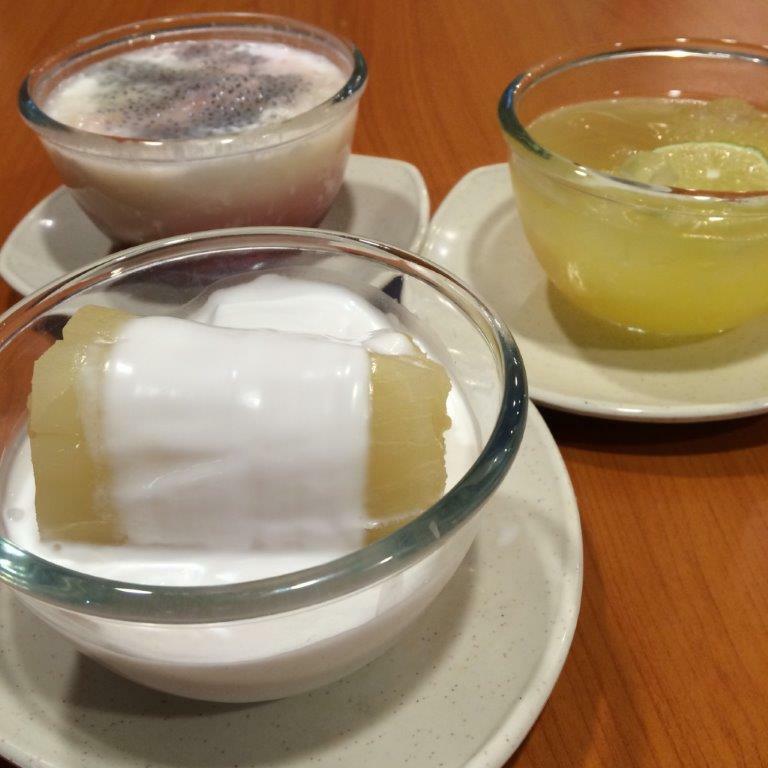 Choose your set, choose your dessert and drink. All in for $9,90! 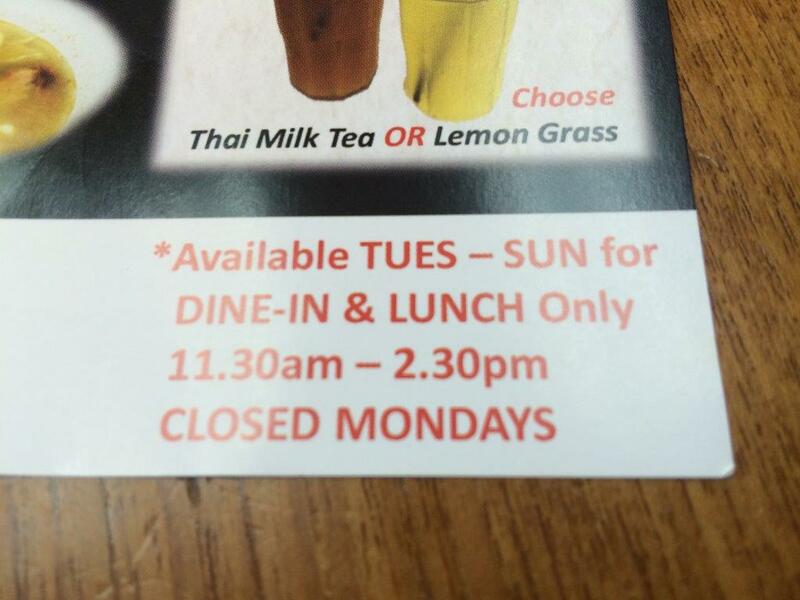 Set meal only available for these times and days. 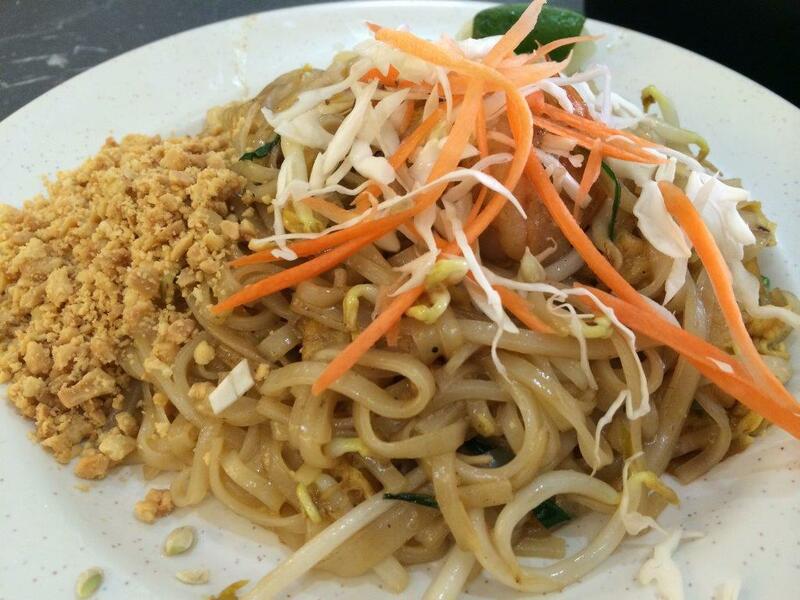 Phad Thai – Not like what I learnt in Thailand. 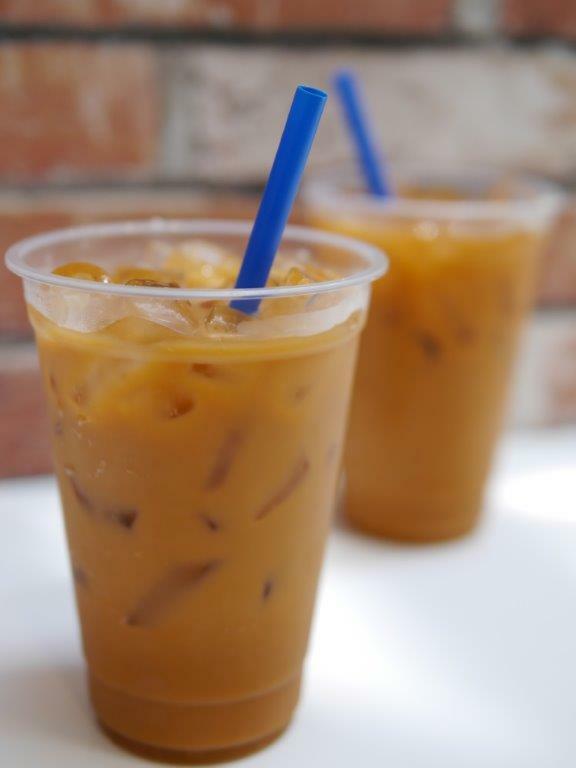 A little tasteless, lack of the essential palm sugar and tamarind juice for that extra kick. 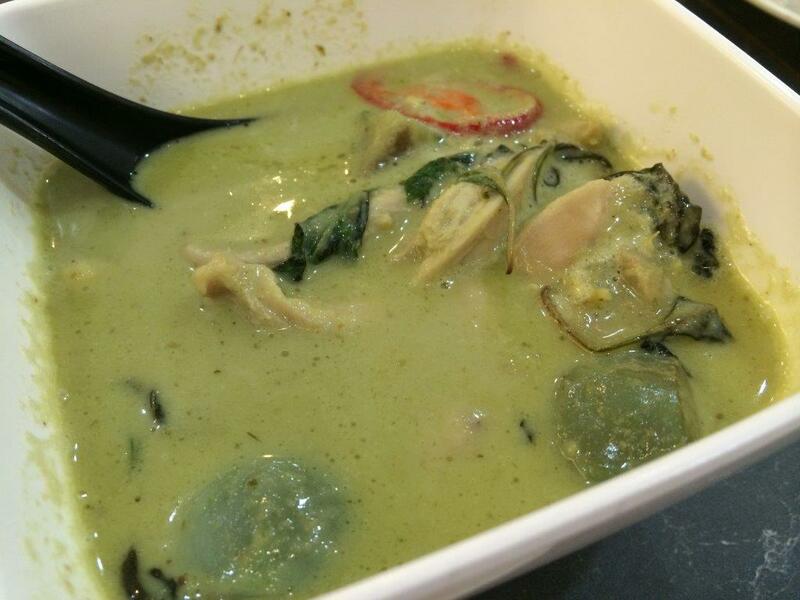 Green Curry Chicken – Not bad, using the right ingredients of Thai brinjals, sweet basil and kaffir lime leaves. But I reckon still lack of the palm sugar inside. 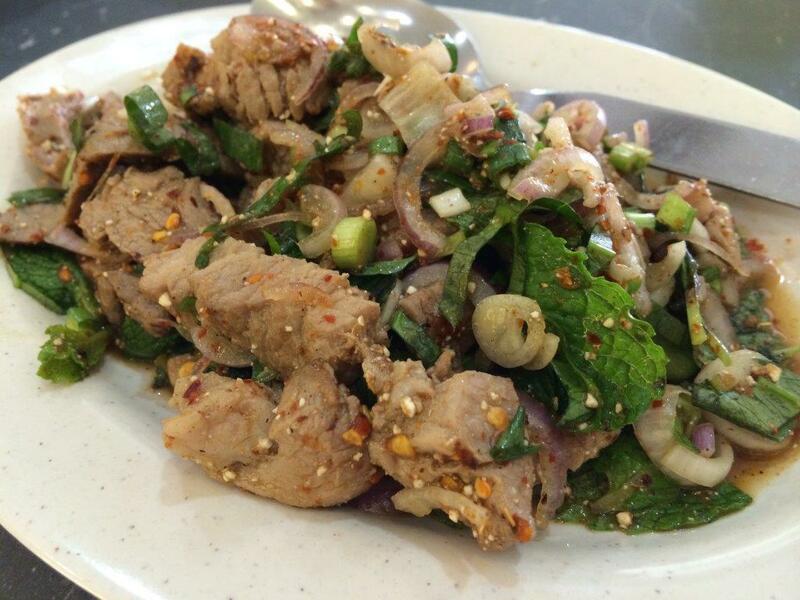 Namtok Moo $7 – This additional order of grilled pork dish is pretty good and tossed up as a salad dish. Love it. 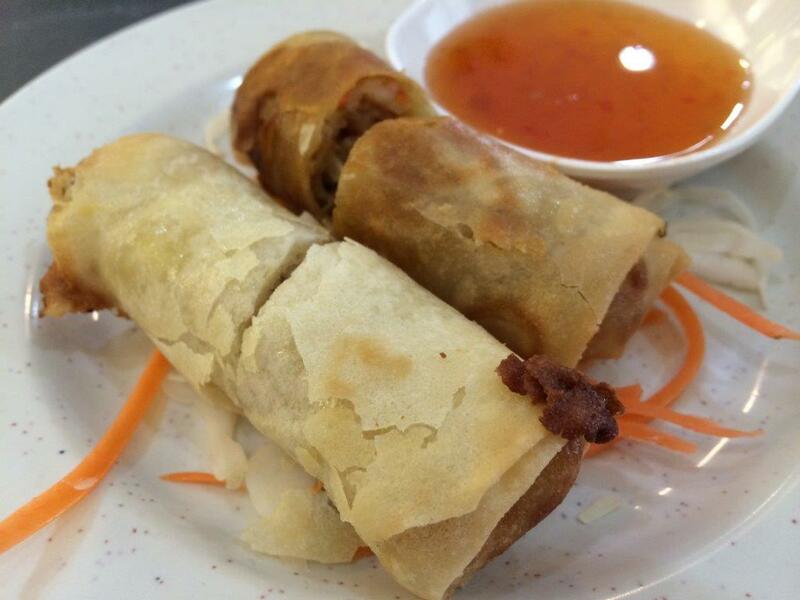 2 crispy spring rolls per set meal. Need the sweet chilli sauce for taste. Red Rubies – Not bad too! 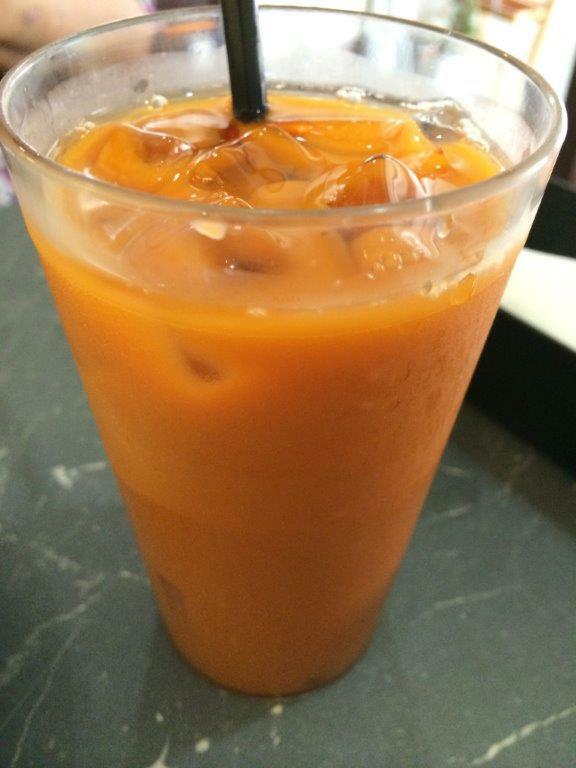 Thai Milk Tea – Not as strong that I like but it’s alright. Taste: 4/5. 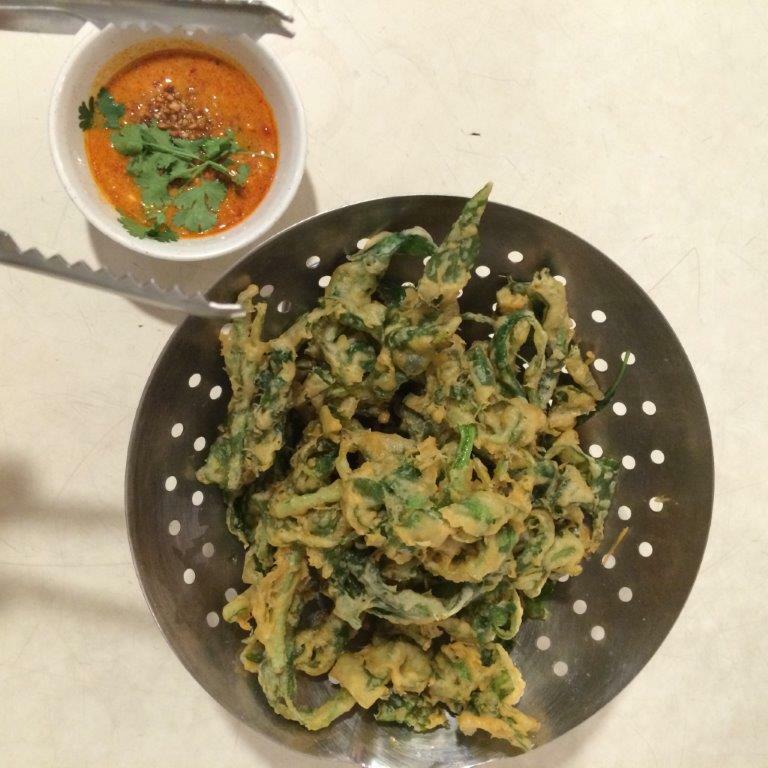 Lack of a few ingredients makes the difference. Ambience: 3.5/5. Hard seats, no aircon. But there are fans. 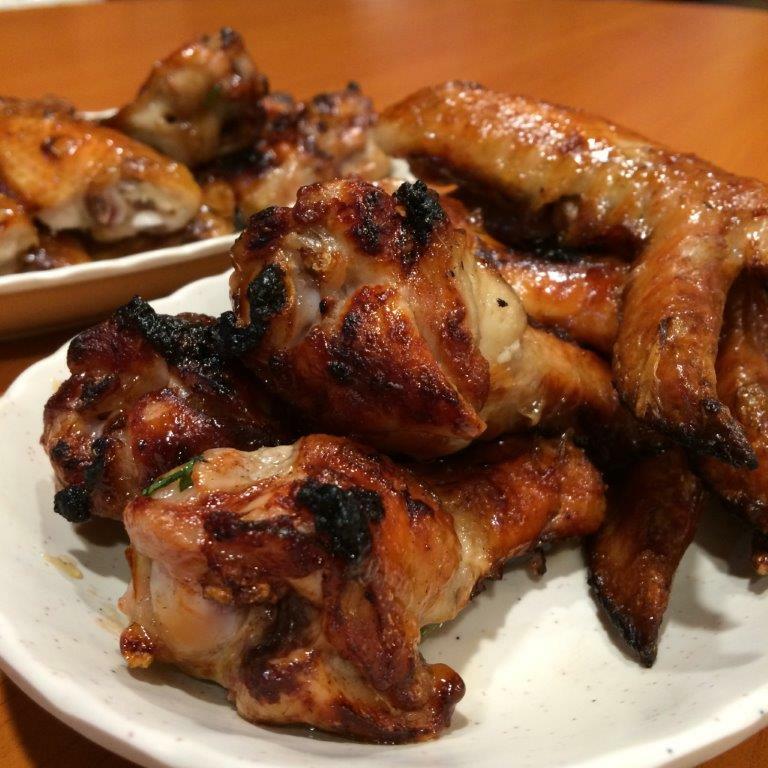 Damage: $26.80 for 2 sets and additional order of $7 grilled pork. RTE: Yeah great for a quick Thai food fix! Location: See last pic. 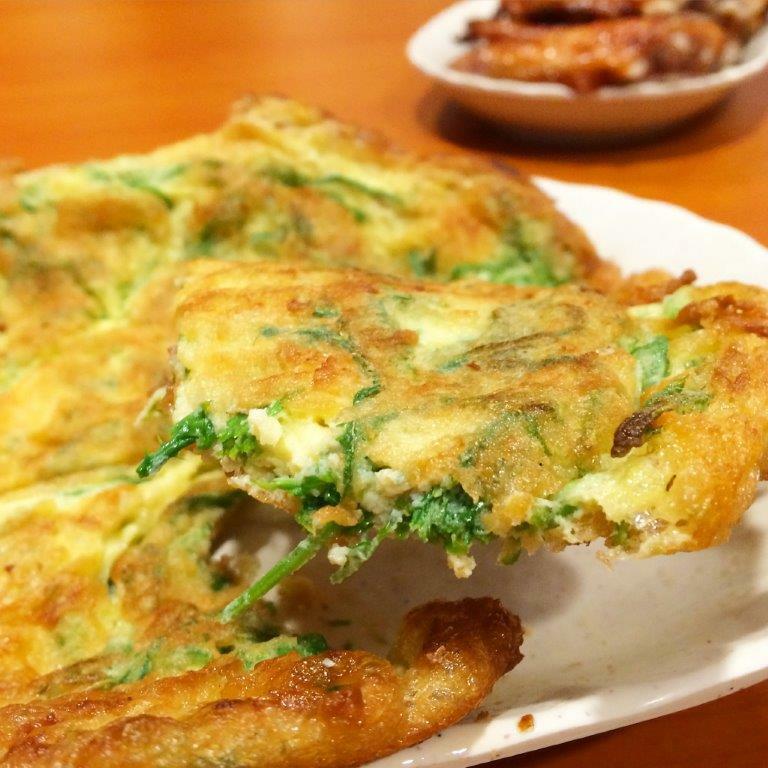 Walking distance from NEX shopping mall. Was in training today at Foo Chow Building and finished around lunch time. So I decided to pack my lunch back to office as I needed to work on my emails. 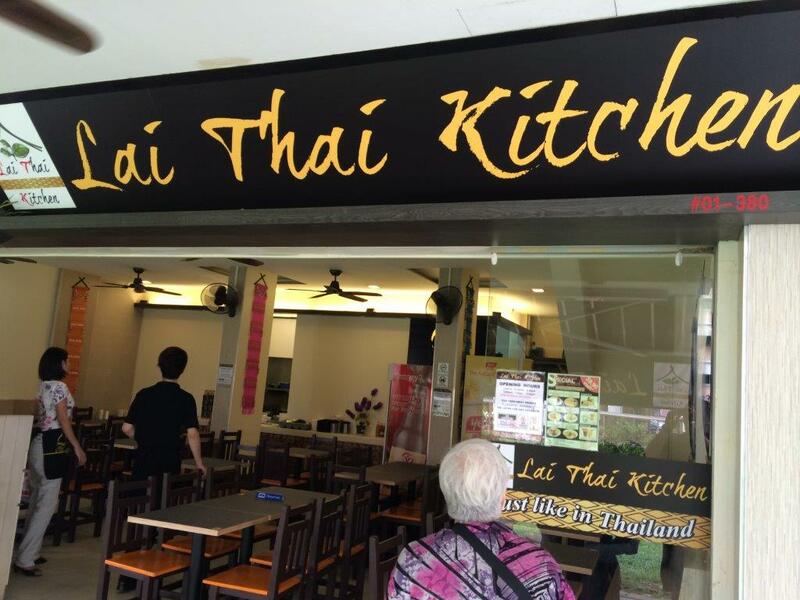 Saw Anne packing her lunch as well at this Northern Thai stall located at the coffeeshop round the bend of Kitchener Road and Tyrwitt Road. Basically, the whole coffee shop patrons are eating their food. So I reckon they should be good. Looking at the menu on the wall, the prices are really cheap. 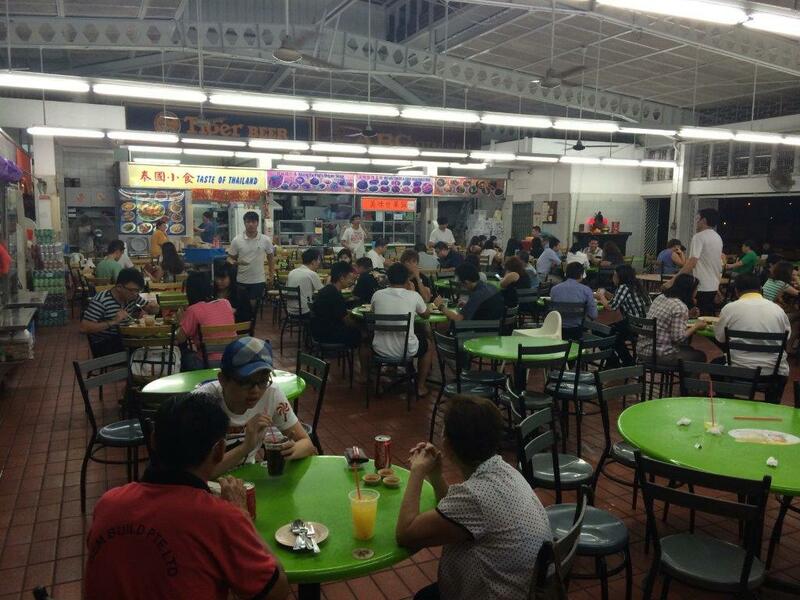 Egg omelette $3.00, Pineapple Rice per bowl $1.50, Stewed Pork Leg $3.00, etc… in essence, everything is cheap and portioning is meant for personal consumption. 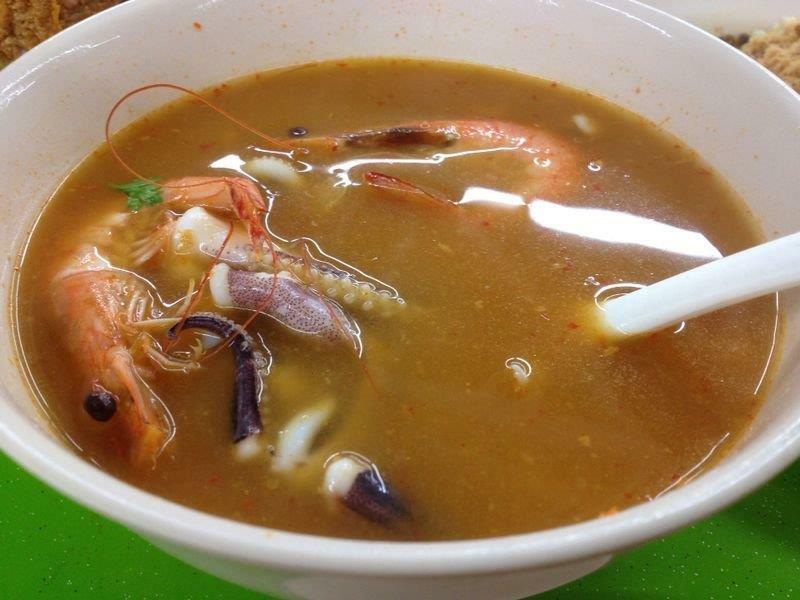 Taste: The Tom Yum Soup is extremely good. 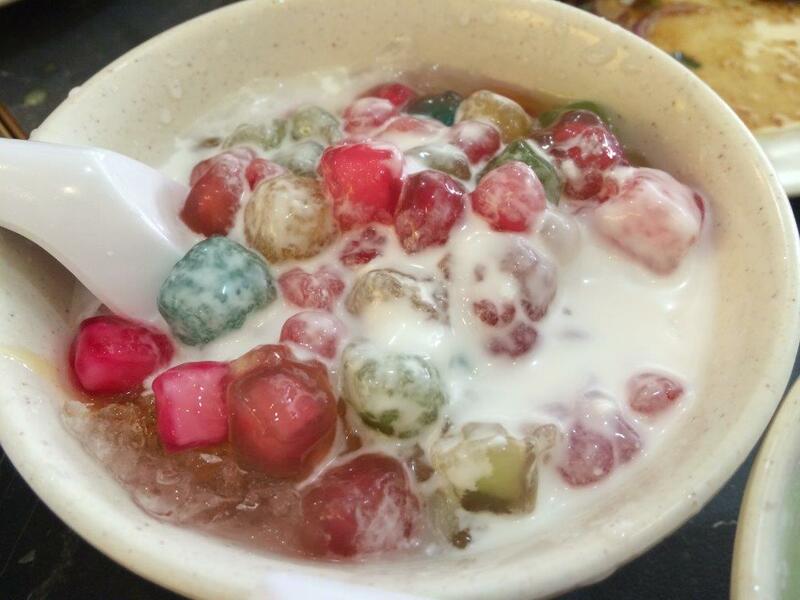 Probably the best I had so far in Singapore. 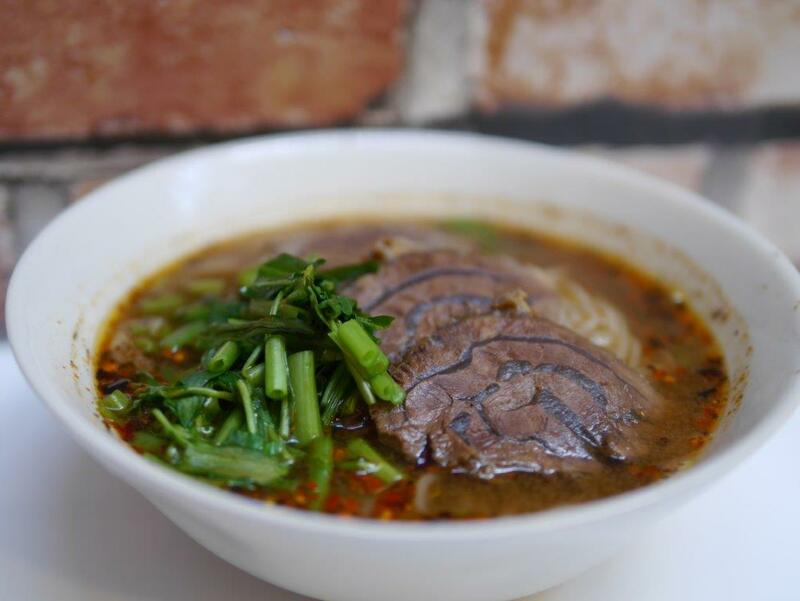 Very nice and thick soup and you can feel a lot of spices were used to make it so good. 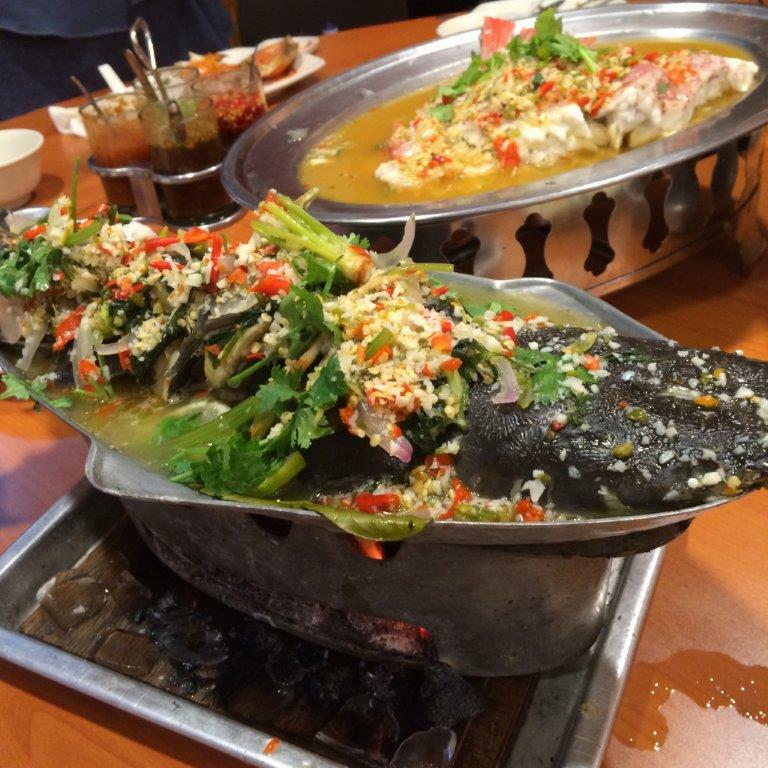 The fish slices are all well seasoned before deep frying, hence no smell. Pineapple rice is lovely. 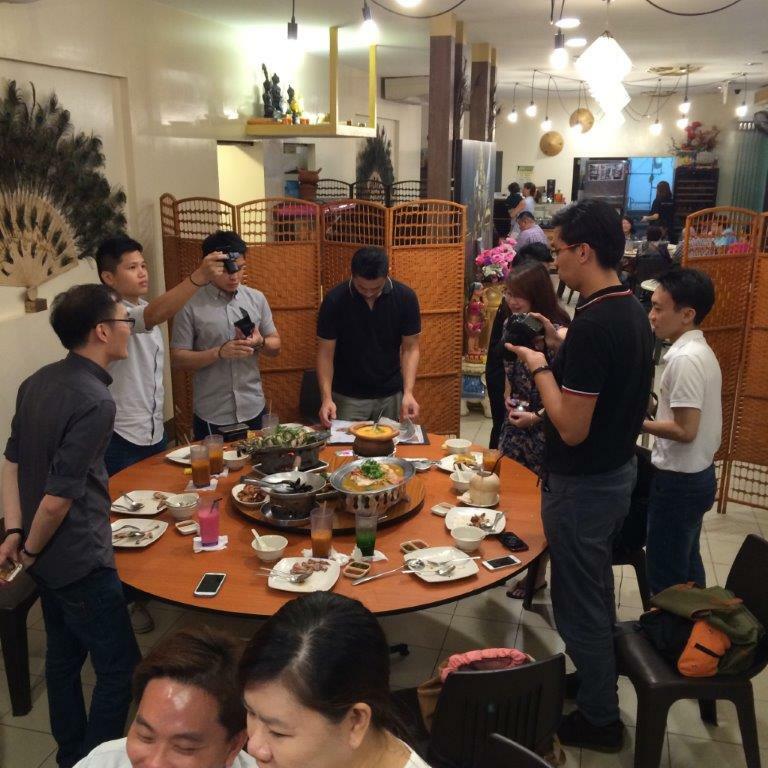 Portion: A lot of fish in the soup and the rice portioning are ok for the price. 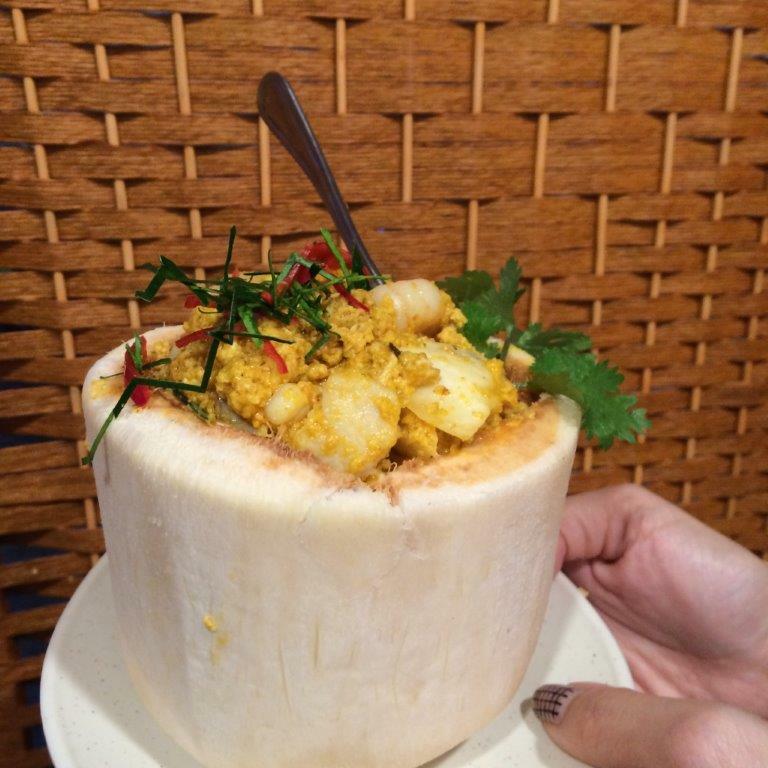 Price: $4.00 for Tom Yum Soup (From $3-$5) and $1.50 for Pineapple Rice. 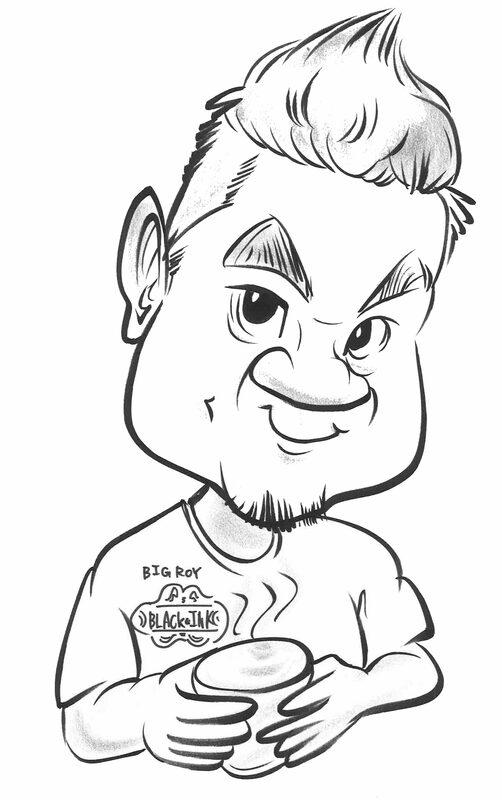 RTE: Definitely… Will try the dishes the next time! Ok this is not my first time eating here. Many times already. Reason is that it’s really good and affordable. So I’ve arranged to meet up with 2 girl-friends to introduce how good the food is. 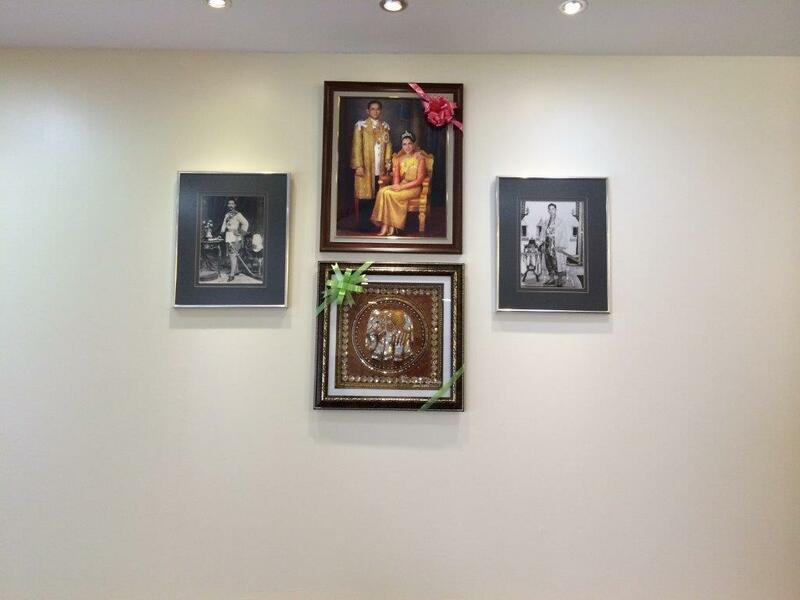 The shop owners are an old couple who hired a Thai cook from Bangkok (His name is Ah Thep or Ah Boy). Very nice and friendly people and somehow they are very contented with their lives until I decided to feature their food. I hope they have better business as they are really old already. Small shop with old uncle sitting there. 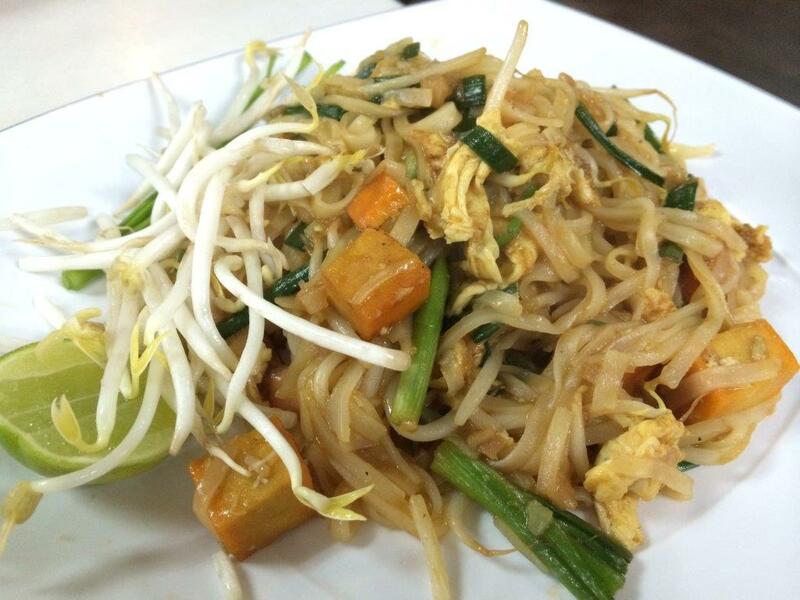 Paad Thai! The girls were crazy over this! 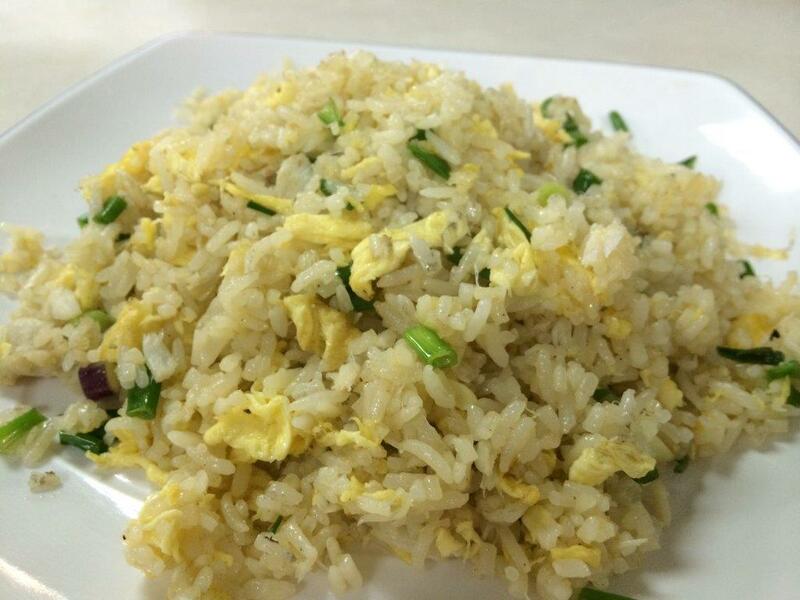 Olive Fried Rice – Real preserved olives are minced and fried together. BBQ Squid. All time favourite. A must try! 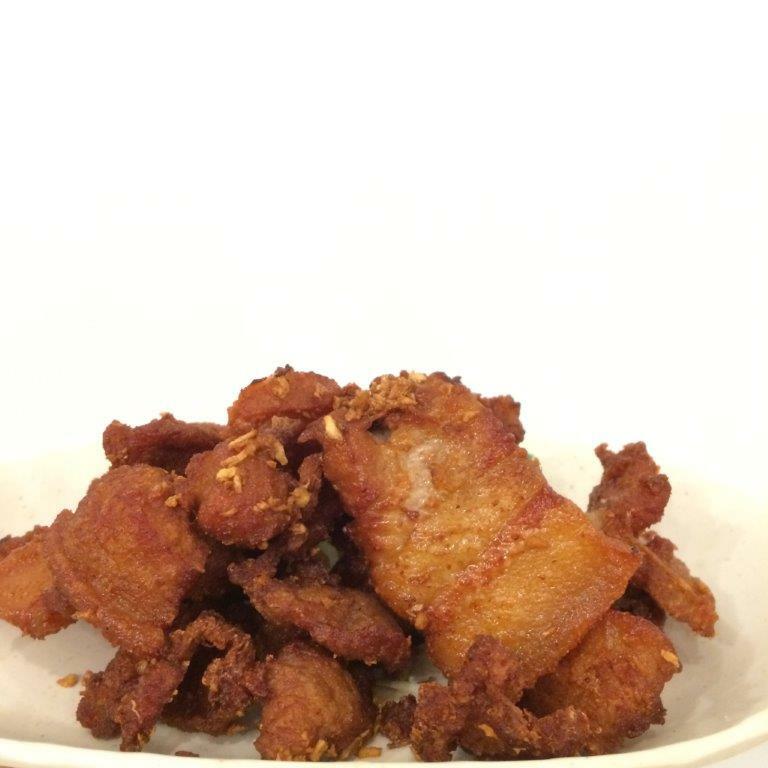 Cooked perfectly till tender and tasty. 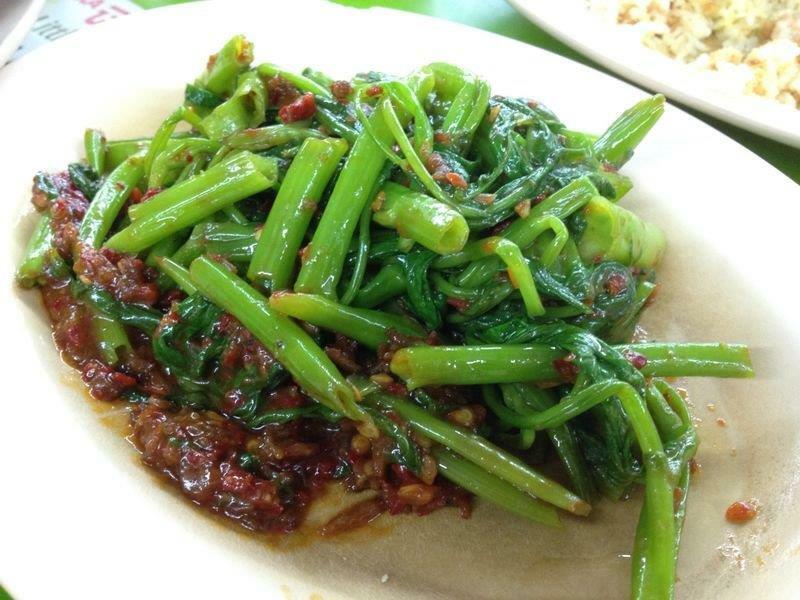 Must eat with chilli. 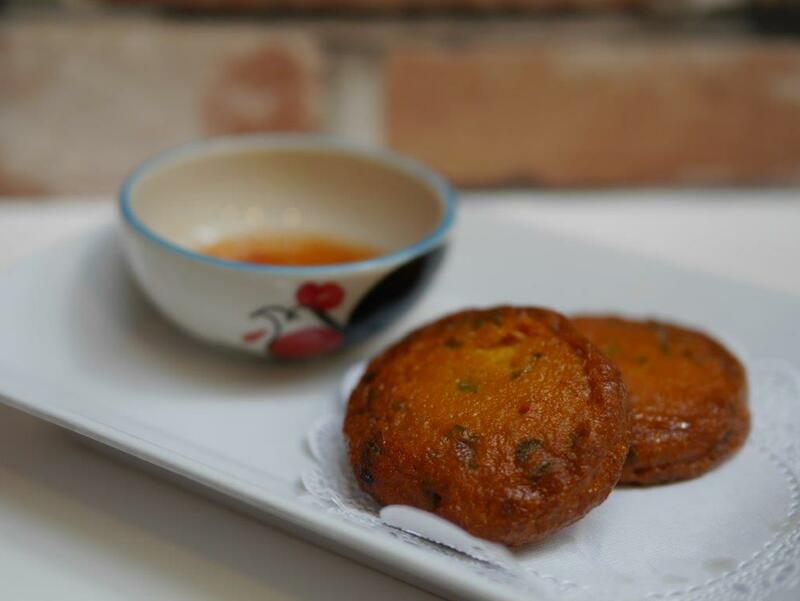 Thai Fishcake. Very nice texture. Special sauce made by the cook. 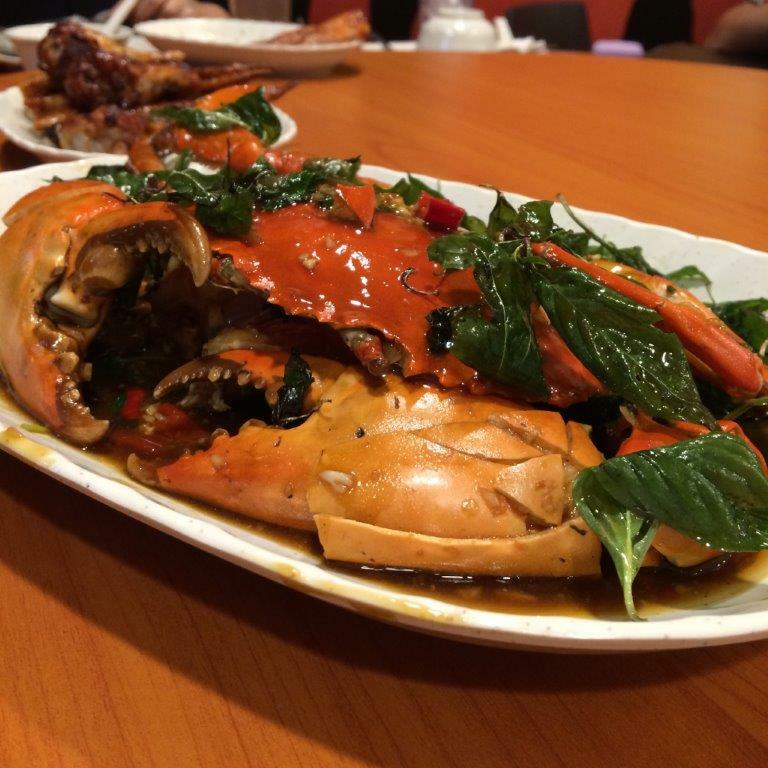 All these food goes best with Singha Beer! Taste: Very nice like I said. 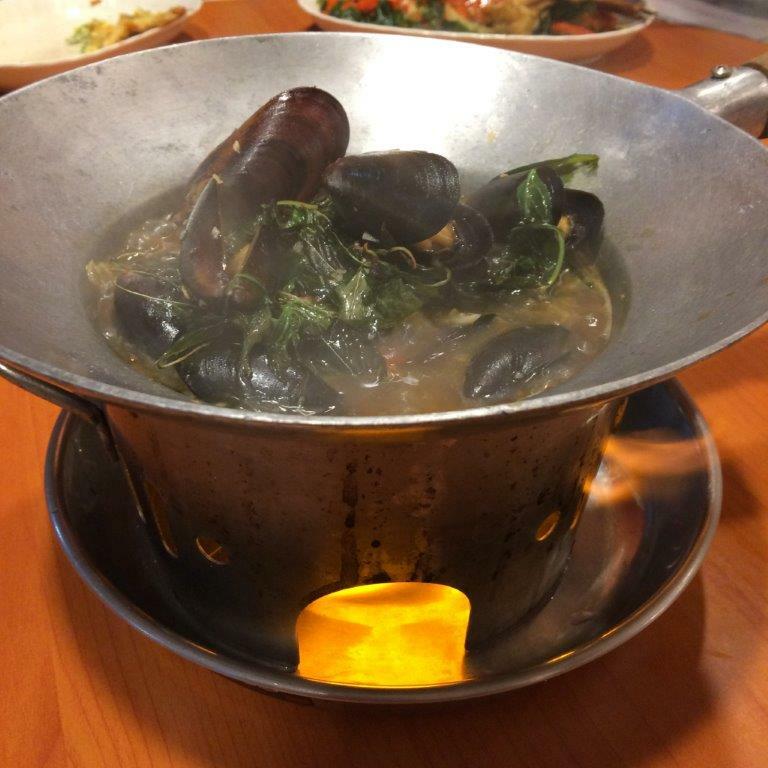 A change from the expensive Thai restaurants we use to know. 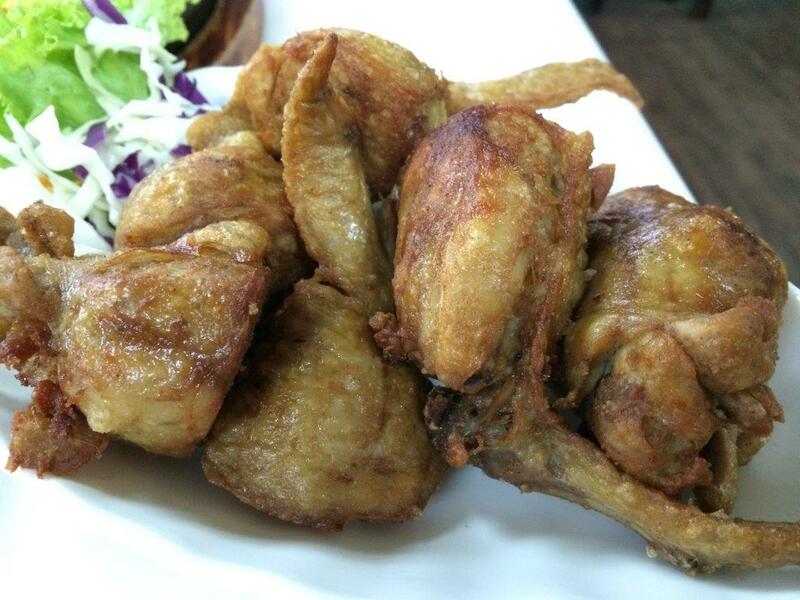 Other must tries are Pandan Chicken, Fried Chicken Wings, Tanghoon Salad, Pineapple Rice, etc. Oh for the Thais, you might like to know they have glutinous rice (Khao Niao) as well to go with your dishes instead of white rice. RTE: Always! My mum just love eating here!